You can see this one coming with the Bulls in Cleveland Sunday for a national TV game, the last for each team in the regular season, the Cavs with a 17-game home winning streak, back at full stretch with their Big Three of LeBron James, Kyrie Irving and Kevin Love playing, with a chance to effectively lock up the No. 2 seed in the Eastern Conference and send a bit of a message to a Bulls team whom the Cavs lost to the last time the teams played in what the Cavs argued were unequal circumstances. If this is a statement game for the Bulls Sunday, they hope the statement isn’t "Help!" "It will be a good test for us," Bulls coach Tom Thibodeau said after Friday’s narrow home win over Detroit. "They are playing as well as anyone in the league. They have been able to build their rhythm. They adjusted well to the trades they made. It’s added a lot of depth to their team. So we are going to have to be ready." This one has the look of a potential blowout if the Bulls are not sharp, especially with Derrick Rose not back from surgery yet and Kirk Hinrich still out with a knee injury. That’s because the Cavs are rolling. And while the Atlanta Hawks will have the best record in the Eastern Conference, the Cavs and James, the latter from his experience with the Bulls while in Miami, know the Bulls with their experienced group, rebounding size and the likely return of Rose are the only truly veteran playoff team in the East. The Cavaliers are 2-1 against the Bulls this season, though in varying experiences. The Cavs won the Bulls home opener back in October when Rose sat out the fourth quarter and overtime with an ankle sprain. James had 38 points and the first eight in overtime and Tristan Thompson had 12 offensive rebounds. Then the Cavs in January dominated the Bulls, running up an early second half 25-point lead and gliding to the victory. It led to one of Thibodeau’s better postgame lectures of the season when he said, "We have to decide when enough is enough." Then came the game the Cavs—and the Bulls in another way—remember. Derrick Rose scored 30 points in his last big game before meniscus surgery in the game before All-Star break Feb. 12. Tony Snell was credited with a strong defensive game on James. Joakim Noah and Pau Gasol had double figure rebounds as the Bulls won on the boards, reminiscent of when they had success against James in Miami. "You look at (his) Heat teams," noted Taj Gibson after the Pistons game. "One thing we were one up on them with, we rebounded the ball really strong. That kept us in the game a lot. We limited second chance shots; our defense was strong." The Cavs had won 14 of 15 before that February game. But they left the United Center a game and a half behind the Bulls in the Central Division. Much has changed since. The Cavs are 16-5 while the Bulls have gone 12-10. It’s given the Cavs a three-game lead in the Central Division with a win Sunday effectively wrapping up the division and 50 wins for the Cavs. But there’s another issue that’s had Cavs players quietly steaming since that pre-All Star weekend game. It was the only game that night on the NBA schedule with all the other All-Stars able to get to New York for some rest and a start on the weekend. So not only were James and Irving going, but the Cavs were on the second of a back to back, coming in after an emotional home game against James’ former team, the Miami Heat and buddy Dwyane Wade. 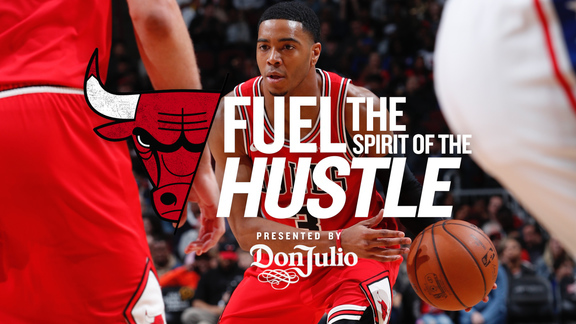 The sentiment among some Cavs players was the Bulls got into a lot of celebrating against a tired and distracted team that night, the Chicago fans serenading Rose with multiple "MVP" choruses and Snell practicing his chest bumping with Noah while having his best game of the season with 22 points and four threes. And now with Toronto’s loss at the buzzer to Boston Saturday night, the Bulls hold a game and a half lead for third in the Eastern Conference. That would put the Bulls in the playoff bracket with the Cavs if the Bulls hold onto third. James also has begun to talk seriously about preparing for the playoffs. Cleveland media has had stories of James working more in the post to take advantage of his size and strength and the Cavs’ perimeter shooting with Love returning along with J.R. Smith playing well. "I feel great," James told Cleveland reporters Saturday. "I think by the time the playoffs start, I’ll be right where I want to be. So I’m looking forward to the postseason and getting back down there and being very productive." 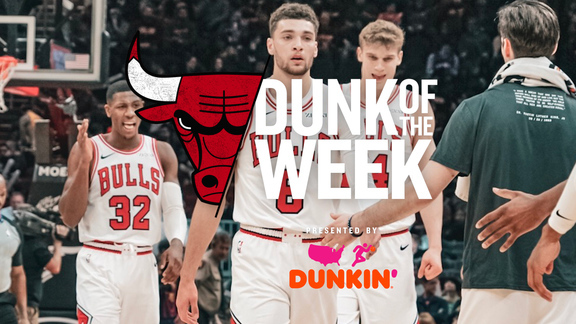 Meanwhile, the Bulls arrive in Cleveland off two indifferent efforts in which they lost in Milwaukee and were saved by a Pau Gasol put back dunk with 5.7 seconds left. The Bulls’ offense has gone flat, averaging about 97 points the last 20 games with just eight games scoring at least 100 points. By contrast, the Cavs are averaging 108 per game in the same stretch. The Cavs have scored at least 110 nine times in that stretch while the Bulls have done it twice. Though the Bulls have moved up to sixth for the season in field goal defense and fourth in three-point defense. So that’s an idea of the kind of game the Bulls will have to play Sunday against what’s likely to be a motivated opponent. "I think we definitely have to play better, a better overall game than the last two games we have played," Gasol said about facing Cleveland. "It is going to be a challenge for us. It’s a really good test for us and we should approach it with everything we’ve got; as if it were a playoff game."